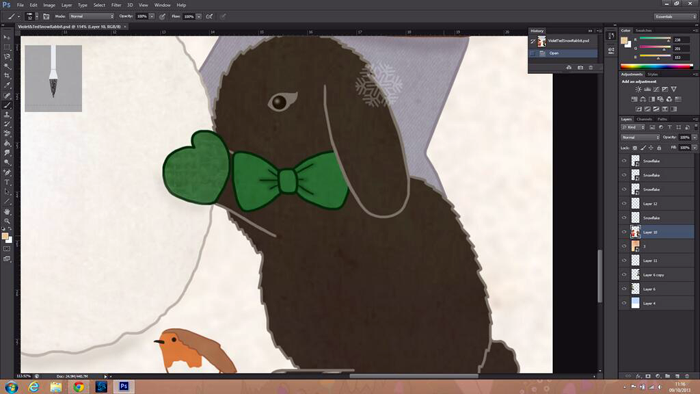 Carly and I are super busy working on some Christmas Violet & Ted illustrations that we're beyond excited about. I keep throwing so many different ideas at Carly & she somehow manages to make sense of my muddled emails and create such beautiful scenes that look exactly how I've been picturing them, only a million times more detailed. I think I'm super late discovering Lorde, I'm totally not current with music at all, but I've been pretty obsessed with Royals. She's insanely talented and succeeds in making me feel extremely old, because she's SO young. Wow. Grey cardigans are my newest clothing love, they just seem to go well with absolutely everything - most importantly my beloved Gryffindor scarf which I refuse to be separated from for the foreseeable future. I've been trying to not wear black all the time...so I've moved on to grey and it's different but not too different - perfect! As I mentioned in one of my posts last week, this time of the year calls for a bright lip and my favourite is Revlon Cherries in the Snow, which is the most perfect red-pink shade. It reminds me of Christmas, cold weather and feeling festive, so I think this wins as my favourite lipstick of all time! One. Blush & Brunch. // Two. Aztec Mess. // Three. Rose & Arrow. I love your Gryffindor scarf haha! :D The lipstick looks lovely aswell. 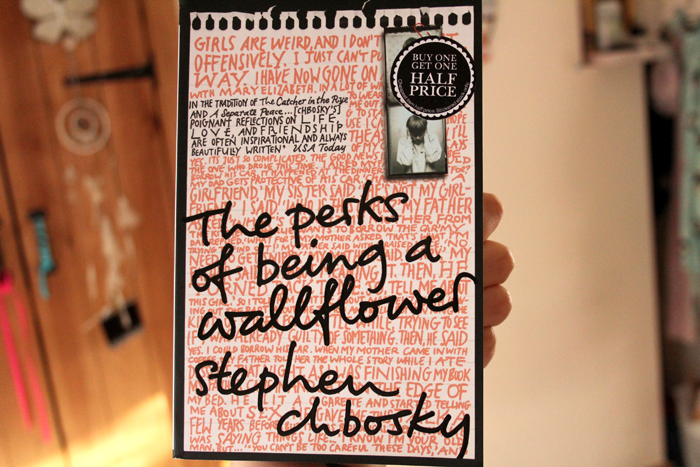 The Perks of Being A Wallflower is just an amazing book, and I was pleasantly surprised by the movie. For me it's also a movie I can watch over and over again. Your Gryffindor scarf looks awesome! I love the look of the Violet & Ted illustration, it looks incredibly sweet! An that lipstick looks heavenly! I need to treat myself! I love Perks! Both the book and film- it's brilliant. Really like these posts! 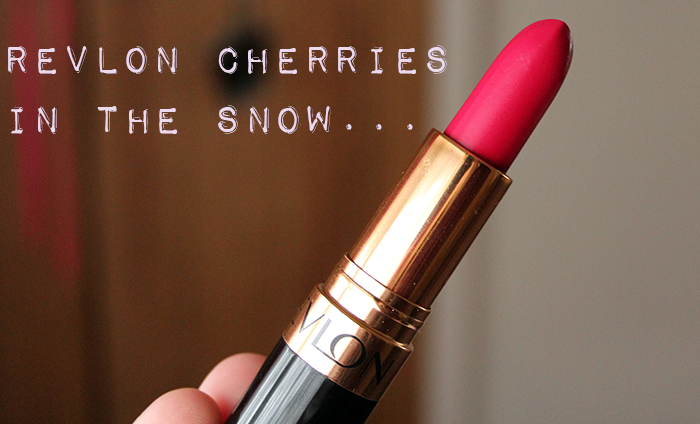 I HEART Revlon's Cherries in the Snow, you make me want to dig mine out and slap it on, YES. I read that book a few years ago, and I loved it at the time. I will have to reread it soon. Totally agree with everything haha. Love The Perks of being a wallflower, love Lorde, love the outfit... everything! Cherries in the Snow is one of my favourite lip sticks :) Love yours & Carly's illustrations - they look so cute! BEAUTIFUL photos, the illustrations look beautiful! I loved that movie! I wanted to read the book but I haven't got to it yet. Really cute cardigan and scarf! That film is such an awesome feel-good movie! I do need to read the book at some point. 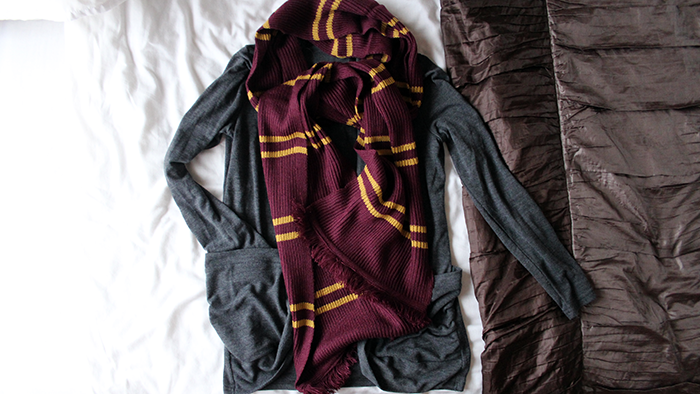 I love your scarf, T had one too but I gave it to an even bigger HP fan. I really want to visit the studio sometime soon! aww thank you! i'm so glad you like my blog, because i'm obsessed with yours too :)) i love that bunny illustration you're working on, i'd love to see more! i made christmas cards with glitter glue and cue cards last year hahaha but it was far from what you've got there. i just googled lorde after reading this and is shocked.. i had no idea she's THAT young!! !